On today’s episode of The Speakeasy, longtime friend of the program Chris Barrett joins us in the studio from Oklahoma City, where he manages (what else?) the bar. On the menu? A few cocktails inspired by The Beatles. We’re not talking one drink per member of the Fab Four. 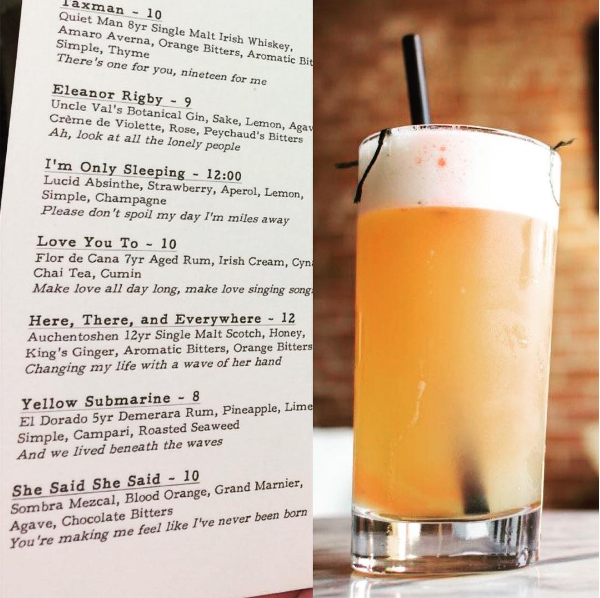 Instead, Barrett pours a drink named after each track off of Revolver, the band’s seventh studio album. Ludivine’s “Yellow Submarine”. El Dorado Demerara Rum, pineapple, lime, simple syrup, Campari, and roasted seaweed.